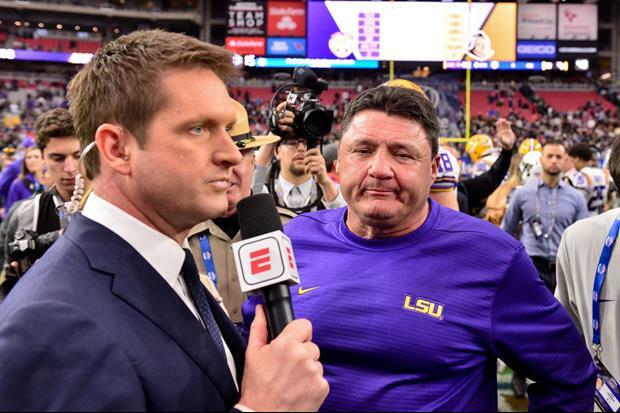 ESPN NFL Draft analyst Todd McShay unveiled his top 10 NFL Draft prospects this week and included LSU linebacker Devin White and cornerback Greedy Williams in the top 5. White was ranked No. 3 overall by McShay and Williams was No. 5. Simmons in the vein of terrific Mississippi State defensive linemen...Chris Jones, Fletcher Cox, Denico Autry. Bosa, Oliver, Williams, and Gary all deserve to go undrafted. Anyone who quits on his team is undeserving of the privilege of playing pro football. You sir are a dip shite. By your logic, if someone quit a job to take a position at another for more money, they should not be "allowed" to??? GFY! Don't bring logic into this. You won't find it here. Im sure they would have played in the meaningless bowl game if you would have guaranteed them a few million apiece should any of them get injured. I guess you just quit on LSU too huh? Guess your mouth is a bigger fan of the team than ur selfish arse huh? 3 out of top 5 from The Boot! Who’s the 3rd guy from Louisiana? I have never seen a player so wildly predicted like Devin White. I am assuming people do not realize how impactful he is. He is easily one of the top 5 most talented players in the draft. Hmm.. no QB’s in that Top Ten, yet at least one gets drafted then. It's top 10 best players overall, not which position a team needs. If a team is desperate for a QB they are going to take the best QB first. Pretty impressive to have no offensive players in top 10. Anyone remember the last time that happened? there's no way Ed Oliver isn't a top 5 pick, probably top 3. He'll be a steal if his currently-questioned work ethic turns out to be untrue. Bosa won’t go #I1, nor should he, unless dominates the Combine. DL would have been night and day different with Ed Oliver on the LSU squad. Really wish he would have spent his time here. Of course Larry fricked up the title. On Twitter it's McShay's top ten defensive prospects. It's not the top ten defensive prospects. It's the top ten overall. The ESPN twitter account simply noted that if you're in the market for an impact rookie, McShay's top ten is full of them.